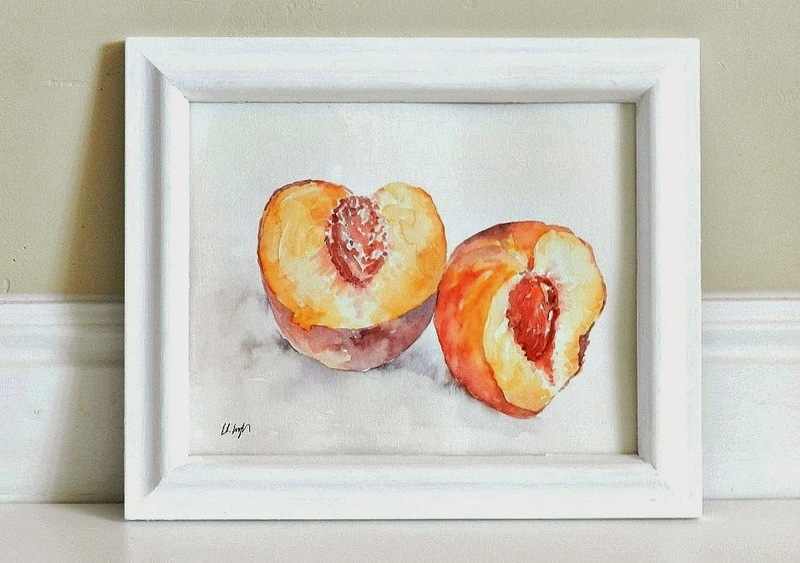 I've wanted to paint peaches for a while now... they're one of my favorite fruits! This is so lovely. I should paint fruits more....! I always love your water color art. Beautiful! Makes me hungry. I'm sad that peach season is almost over. You are so talented! One of these days I'm going to take a stab at watercolors. Beautiful! Love the little details ~ TFS! So pretty! Found you on Sugar Bee linky party. I'm Leia, from eatitandsayyum.com. Keep up the good work!